Congratulations on your acceptance to John Jay College. This is an exciting time in your life, and we are delighted to welcome you to the amazing bloodhound community. There are no limits when it comes to your college experience and you are certain to make friends, mentors, and other connections that will last far beyond your years at John Jay. We encourage you to learn as much as you can about our college community. We are excited about the group of students who have been accepted to our campus, and we hope that you make the decision to be Bloodhound bound. Meet some of your future classmates. We hope to see you at these events. Whether you have made the decision to enroll at John Jay or are still weighing your options, you will find these programs to be informative and a lot of fun. Please note: These events are designed for students who have been offered admission to John Jay College of Criminal Justice. Because of space limitations and the information being covered, students who have been invited will receive an email invitation with an RSVP link. All attendees are required to RSVP before the start of the program. 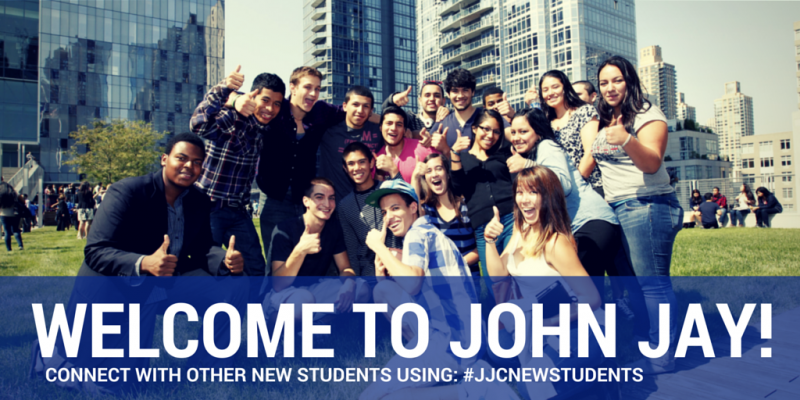 We look forward to see you on campus and at John Jay next semester. Go Bloodhounds! Connect with us on Twitter, Facebook and Instagram.